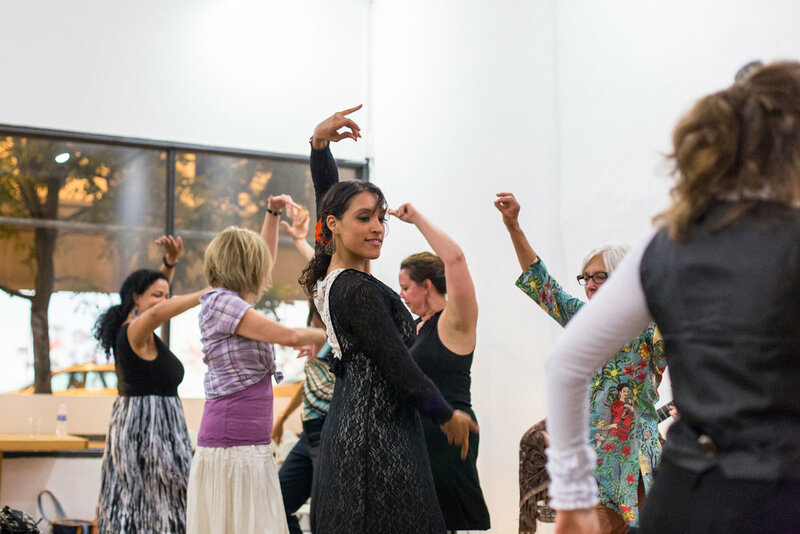 Clinard Dance is a place for artists to grow professionally or have a positive experience with dance as well as connect with the surrounding cultural community. Our studio offers an Apprenticeship Program which allows students to study devoid of economic challenges. Our ensemble members lead, in partnership with After School Matters, a dance program at Jane Adams High School (located two blocks away from the studio). When professional artists go into the schools to teach all sorts of barriers break down. Some of which are: what is an artist, what it means to make art as well as gives students the confidence and skills to continue their art curiosities in formal studios and schools post their After School Matter's experience. Additionally, Clinard Dance welcomes students into our school if the curiosity persists after their work with After School Matters. Clinard Dance feels that artists are a valued part of our community so we need to create live experiences for the neighborhood as well as work inside the Elementary and High Schools so that they have a first hand experience about that valuable exchange. There are very few spaces for dance studies in Pilsen so we offer free monthly performances through the 2nd Friday open studio walks to foster our belief in the power of dance,http://chicagoartsdistrict.org/. Most importantly we feel that art and culture have the ability to create real and deep meaning in a place. As a Pilsen Dance School, we are committed to serving as a good neighbor, friend and cultural collaborator in the surrounding neighborhoods that's why we actively seek dialogs and performance opportunities with the greater Chicago; this can help to amplify the work we do. Large and small institutions bring culture to life in a place. We are not doing this work alone and have the pleasure of sharing the vision of a dense tapestry of culture with many others throughout the city. We work with the Mexican Fine Arts Museum locally to host our school performances as well as have relationships with other fine arts organizations throughout Chicago.